Christmas is something I've only begun to celebrate at home relatively recently - I'm technically a Buddhist and my family never went in for seasonal gifts. Because of this, I have a tendency to buy presents whenever the whim takes me, so by the time December comes rolling round, I find I've already got a neat little stockpile of goods to hand out to my nearest and dearest. 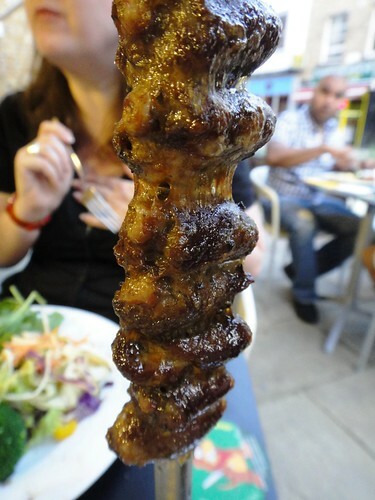 This was sent to me to review. It's big and well packaged, so home delivery is a safe option. Stuffed with 40 fine chocolates including truffles, pralines and Christmas Mess (sadly wrapped in dingy shades of brown paper), 12 gold paper crowns and some rubbish jokes, this would make a good Christmas party present. Also, the explosion was so exciting that one of the chocolates flew under my sofa without me realising and so I got a bonus chocolate the next time I hoovered. Who can argue with bonus chocolate? 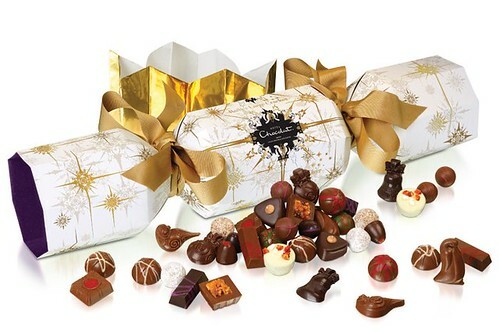 £38 from Hotel Chocolat online or instore. Being Rum Baba girl, the only booze I can really stomach is sweet sweet. 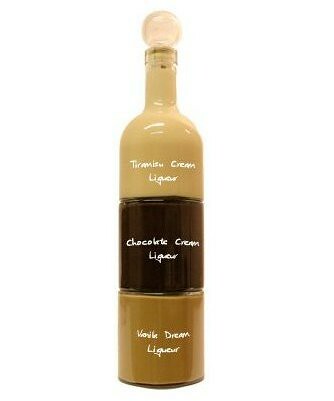 I've bought this triple set of vanilla, chocolate and tiramisu liqueur before and it went down very nicely. If you go to the concessions (eg in Selfridges), there's a wonderland of other spirits, oils and vinegars to try before you buy, and you can choose the bottle stopper. Around £40 from Vom Fass online or instore. I'm obsessed with birds at the moment - my clothes are covered in sparrow and dove prints - even flamingoes. 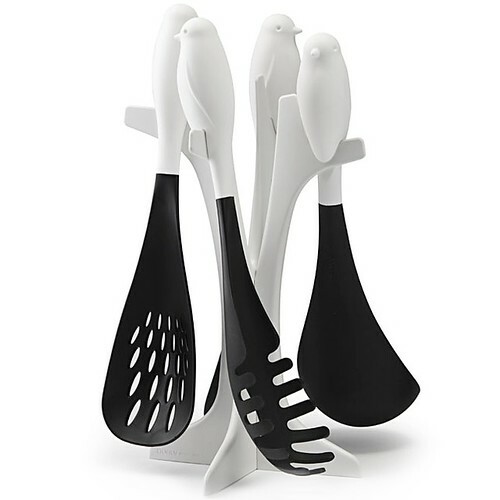 I really love the look of this utensil set - how gorgeous are they, perched on their branches? On special offer at £27.99 at Find Me a Gift. 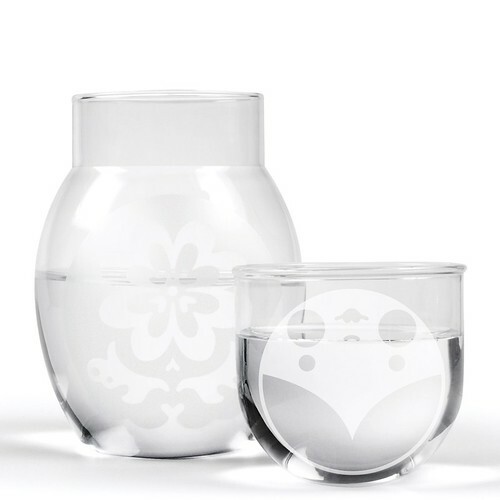 Last orders, standard delivery: 20 Dec, next day delivery: 22 Dec.
First came the adorable Matryoshka doll measuring cups - now they have picnic forks, egg timers, tupperware, cruet sets and this - the bedside decanter set. 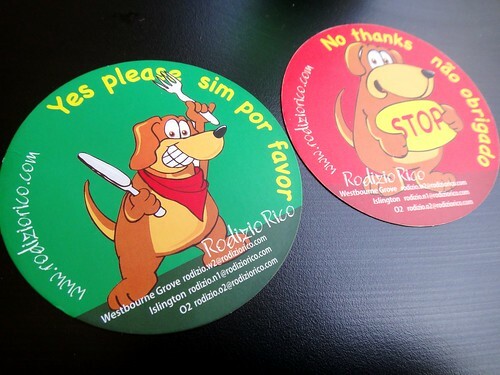 I bought mine instore but you can order online too. £16.50 in Oliver Bonas online or instore. 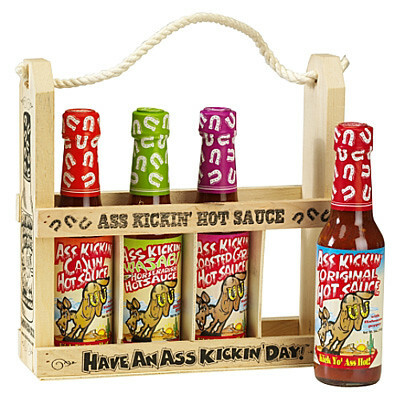 I really, really want the gallon jug of Tabasco that you can get in Harvey Nichols at the moment, but chilli sauce generally gets me excited. 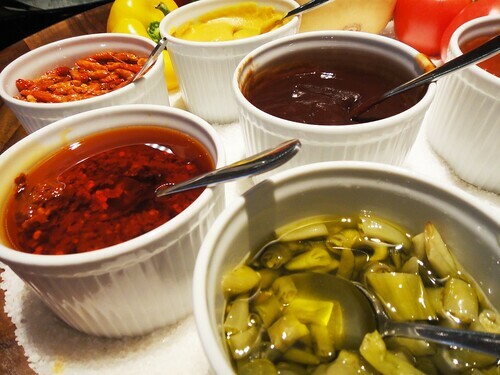 Hot-Headz have a vast range of sauces in stock ranging from the mild to the ludicrous and prices are very reasonable - £3.99 on average. They've sent me a few to try (not done so yet) but I'll be buying some more as stocking fillers and they have good-looking gift packs too. I once went to Cellar Gascon and we were presented with a cheeseboard of various delights including a frilly, delicate one. I've since discovered that this cheese is called Tete De Moine, and the rosettes are achieved on a contraption called a girolle. Hubbub can get the set delivered to you from La Fromagerie. 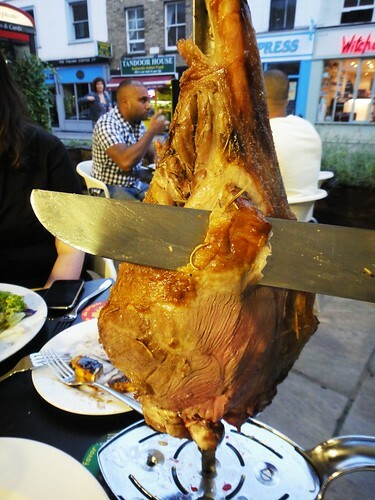 £50 from Hubbub, certain London locations only. 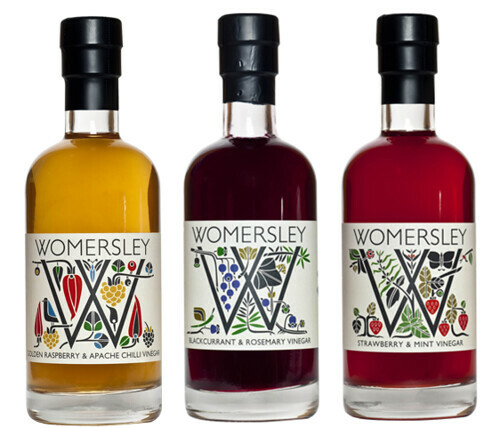 Womersley Vinegars really are something special - the unusual flavours sing out eg Cherry, Blackberry, Strawberry and Mint. My favourite are Golden Raspberry & Apache which is stunning in a salad, and Blackcurrant & Rosemary which makes a gorgeous Bramble cocktail. They do jellies too - and all the packaging is beautiful - I love leaving the bottles out on display. Stockist list at Womersley Foods including Harrods. 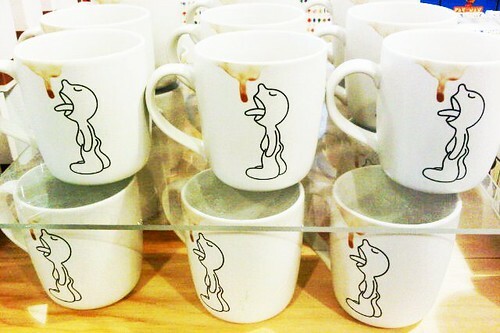 How could you not adore this mug? 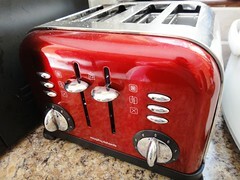 I snapped up two - there's another in the same range which has a pink lipstick mark on it, but this one is my favourite. I got them for £8 each instore at Urban Outfitters or you can get them for £5.99 at Find Me A Gift. 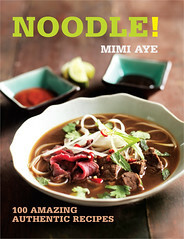 Seminal, authoritative, beautiful, and only £20 on the Book People. 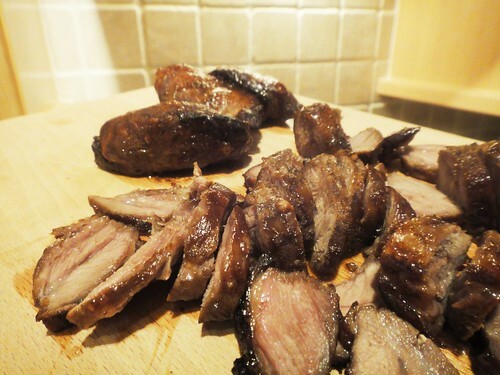 I've just bought the mini indoor Camerons smoker which chef Mat Follas famously used when he won MasterChef in 2009. 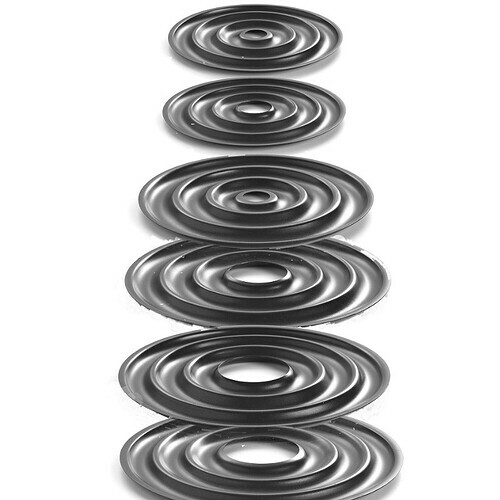 It's simple to use (I saw it in service at the Wild Garlic) and works a treat. Woodchips included - £39.49 at Cream Supplies. 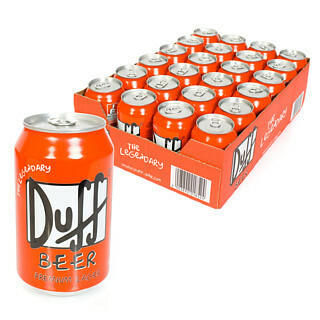 For the Homer in your life. A TV tie-in that is also quite cool. 24 cans for £24.99 from Firebox. I don't even have an SLR but I can recognise how brilliant this is. 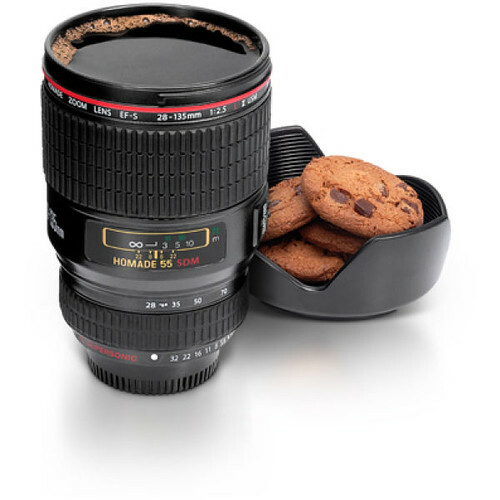 The camera "lenscap" acts as a cover or as a coaster. £12.99 at I Want One of Those. Tea liqueur. Luxurious bottles, enticing flavours. I want the Citrus, or the White Tea and Peach. From £24.99 at Firebox. 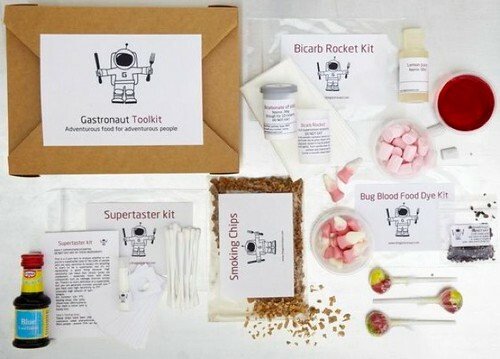 If you're familiar with Stefan Gates, the Gastronaut, you'll know he has a few foodie tricks up his sleeve. These kits (on special offer from only £3.95) will help you replicate the madness. 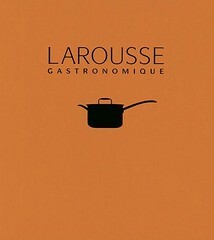 Signed copies of his books are also available at the Gastronaut Shop. I was the classic Tartrazine Kid, so I wasn't allowed to play with plasticine, so instead I'd spend ages making freaky sculptures out of real dough. 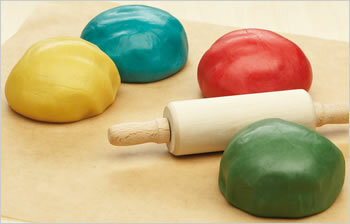 This is the same - but better, since you can actually bake your creations and eat them afterwards. £7.95 from Prezzybox. 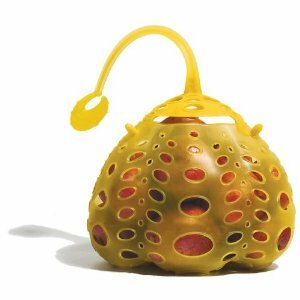 I got this in Lakeland purely because it looks like the work of Japanese artist Yayoi Kusama and therefore makes me laugh. 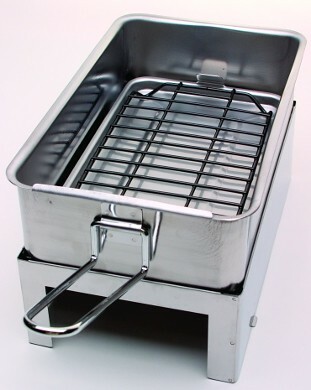 Apparently it functions well too - designed to save time when boiling, blanching or steaming foods. Lakeland don't seem to stock it online anymore, but you can get it for £12.95 from Amazon. 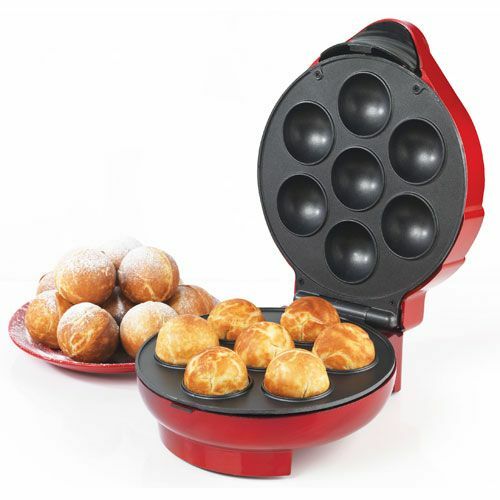 Robert Dyas stocks all sorts of gadgets including this doughnut maker which is on special offer. It comes with a syringe to inject your doughnuts with jam etc, but I'm thinking savoury and will be using it to make takoyaki. £19.99 at Robert Dyas online or instore. Whisky connoisseurs would probably say you shouldn't drink it cold anyway, but I know a few people who like it on the rocks. 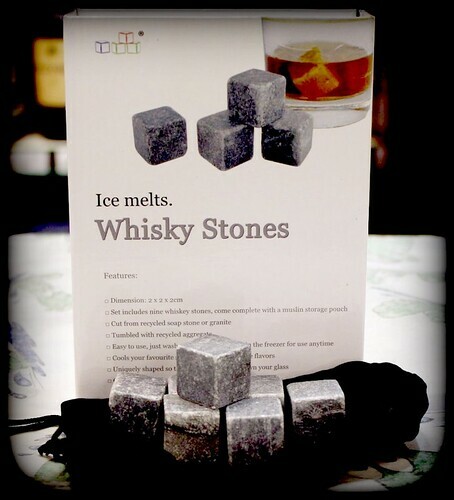 These make it literal - milled soapstone cubes which you freeze and use instead of ice so you don't end up diluting your drink. £12.50 from Whisky Galore for a pack of 9. 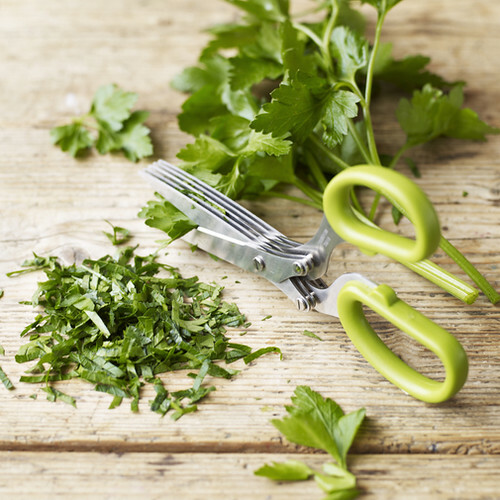 I like to snip foliage onto my meals - fresh herbs are essential in Burmese and other Asian cuisines. And my potato salad isn't right unless it's sprinkled with chives. These scissors make the job easier - and you could also use them to shred paper. £13.50 from Cox and Cox. 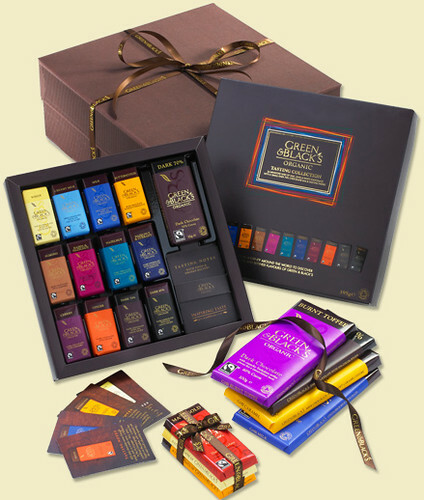 Green & Blacks have brought out a range of gift boxes available online or in supermarkets such as the set pictured right at the top, as well as a new flavour Burnt Toffee which I have yet to try. Their Organic Tasting Collection box contains 24 Miniature Bars - White Chocolate, Creamy Milk, Milk Chocolate, Butterscotch, Almond, Raisin & Hazelnut, Cherry, Ginger, Hazelnut & Currant, Hazelnut, Dark 70%, Dark 85%, plus Tasting Notes. 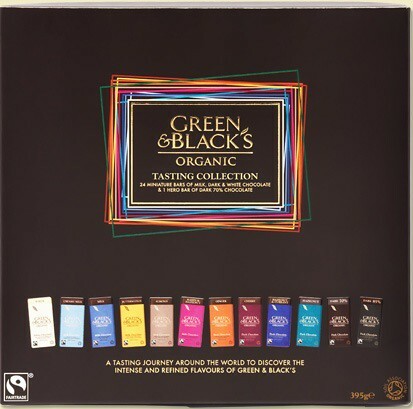 I'm giving away the Green & Blacks Tasting Collection box mentioned above - just leave a comment with your contact details by midnight Tuesday 13th December if you'd like to enter the random draw. UK readers only, sorry. 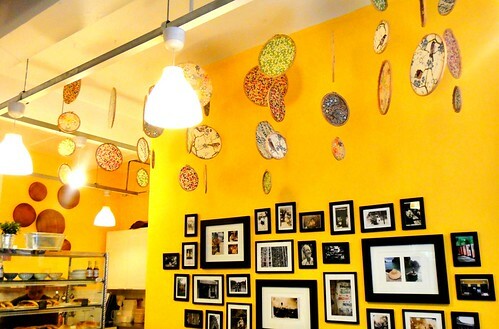 EDITED TO ADD: The winner is the Fastest Indian aka @ireenaribena! Thank you everyone for entering. And yes, Vom Fass is a ridiculous name but quite fun to shout. When I was at college, one of the most exciting things to happen to me apart from bumping into Craig Charles was the opening of a Lakeland store. Because Lakeland really is the closest thing to a real-life Innovations catalogue, and you know how much I loved those. Of course, like an Innovations catalogue, 50% of the stuff is brilliant, inspired and useful, and 50% is utter bobbins. Bobbins, however, is in the eye of the beholder and whilst it's hard to dispute that this has no earthly point, I'm sure some of you will adore the gadgets which make me squint and say, "Really? I mean, really?". Take these two items. Literally take them from me. Because the lovely folk at Lakeland have sent me stuff that implies they think I like baking and I don't. I really don't. 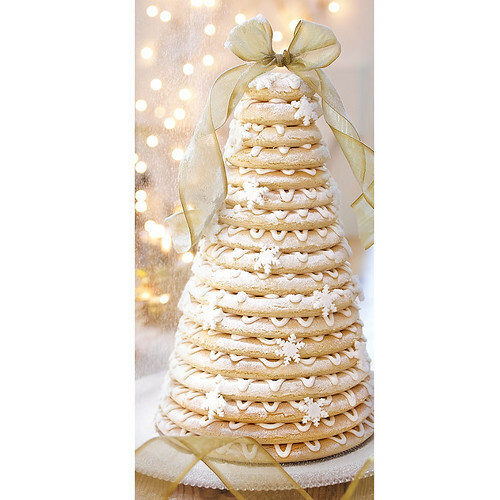 A kransekake is a traditional Norwegian dessert made of stacking concentric rings of marzipan cake that's eaten at weddings, Christmas, or New Year's Eve. Many, many layers of cake. Many. I did toy with the idea of making the Dark Tower of Barad-dûr for a Lord of the Rings extended Blu-Ray marathon, but then realised that this would never, ever happen. The tower, not the marathon. I went through a phase of really wanting some stained-glass window biscuits (with the coloured bit made of jam or melted boiled sweets), but despite this yen, such was my laziness that I just kept hoping one of my colleagues who claimed to "love baking" would make some for me. She never did and we don't work together any more. These things aren't connected though. 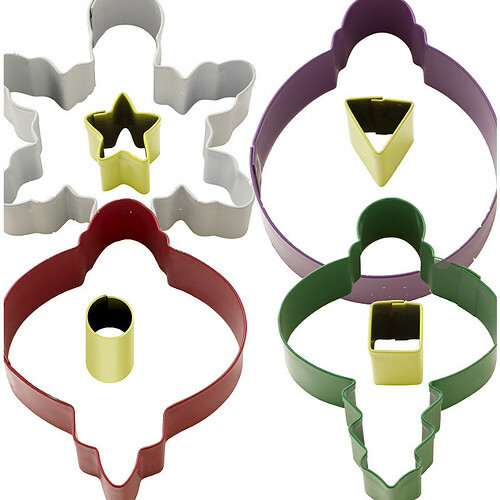 Anyway, I now have the means to make them myself with these cute cookie cutters. 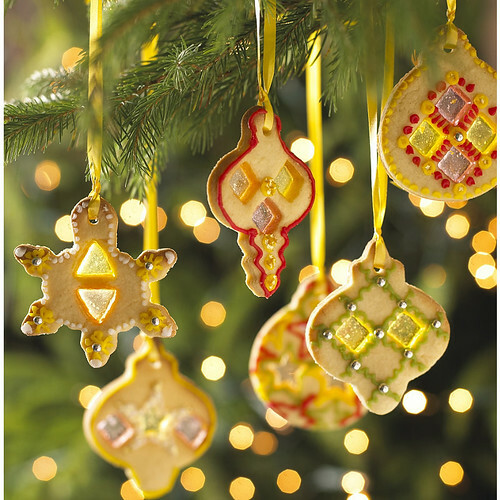 I could even thread a ribbon through the biscuits and turn them into Christmas tree decorations. 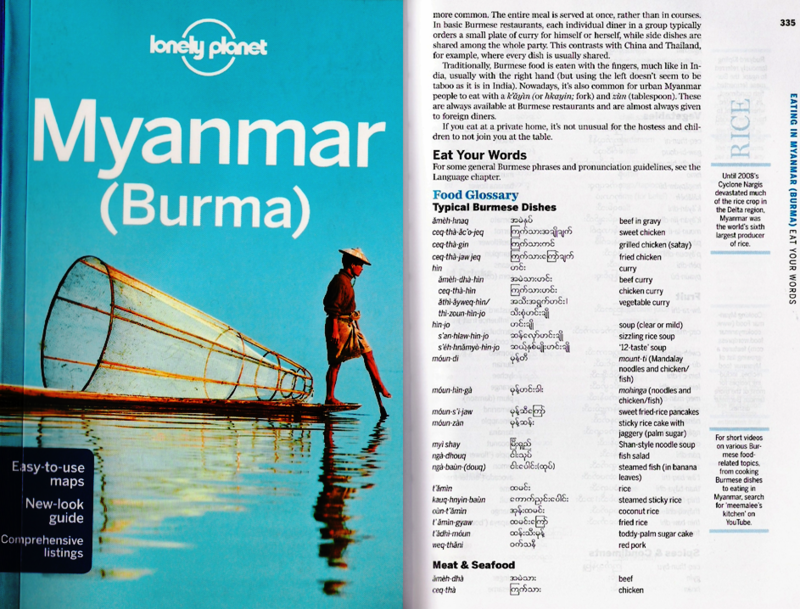 Am I going to? Am I hell. The Cookie Cutters and the Cake Pans count as separate prizes. If you would like to win either, please leave a comment saying which one you want and your contact details ie your email address or twitter name. Closing date is midnight on Monday 28th November - the winners will be picked at random. UK readers only - sorry! A lot of people think Japanese food is just raw fish. Whilst sashimi is one of my favourite things to eat, this notion couldn't be further from the truth. My husband's favourite food from Japan is tonkatsu. A pork cutlet which has been dredged in flour, egg and panko breadcrumbs before being deep-fried till it's crisp and golden yet still juicy and without a whisper of grease. 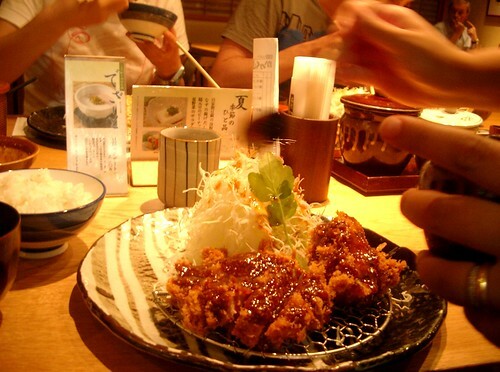 Like tempura, Japan's more famous fried food, tonkatsu actually came from Portuguese traders in the 19th century, and was originally considered to be yoshoku - or Western food - but it has now been firmly adopted as washoku - Japanese cuisine. 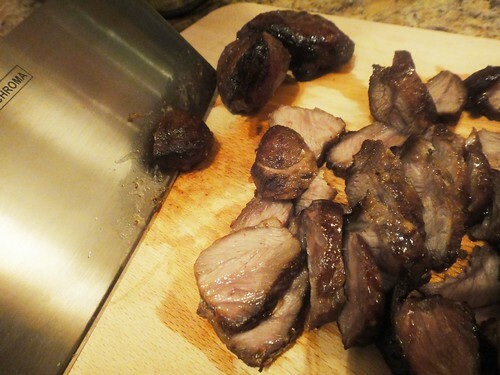 Tonkatsu is made with boneless pork loin steaks or chops (with a ribbon of fat if possible), though I sometimes go left-field and use pork loin slices cut for shabu-shabu which makes for a daintier dish. 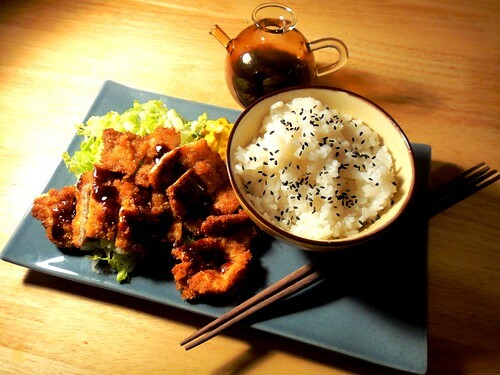 With a tussock of thinly-shredded cabbage, a dab of yellow mustard, a drizzle of fruity tonkatsu sauce, some pickles and some hot sesame rice, a meal of fresh-fried tonkatsu is irresistible. Shred the cabbage as finely as possible and then soak in cold water. 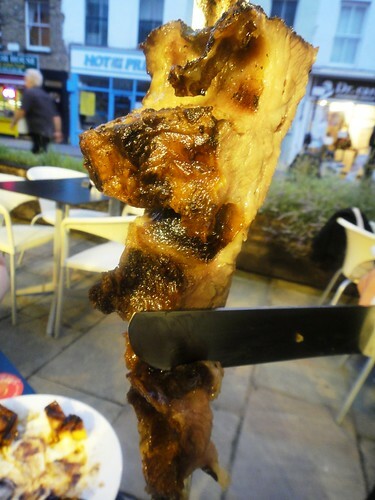 Wrap the steaks in clingfilm and bash them with a rolling pin, but you're not trying to tenderise - just thin them out a bit. 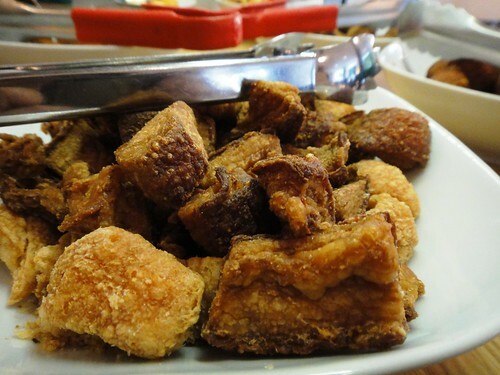 Lay out one plate of flour, one plate of breadcrumbs and a bowl of beaten egg. Season one steak generously with salt and pepper. Then dredge it in flour, dip it in the beaten egg, then flour again, then egg again. Lastly coat the steak evenly in the panko breadcrumbs and place on some greaseproof paper. 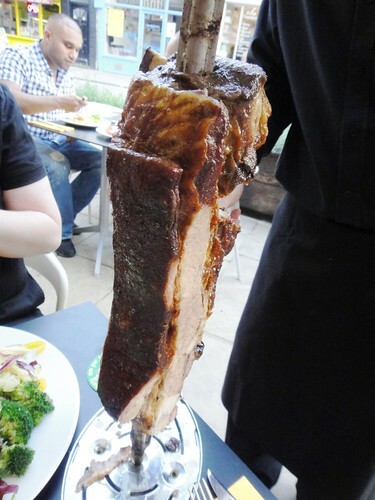 Prepare the other steak in the same way. Drain the shredded cabbage and put to one side to dry. Heat three inches of oil in a deep frying pan or wok - check if it's ready by throwing a couple of panko crumbs in and if it goes brown, it's ready. 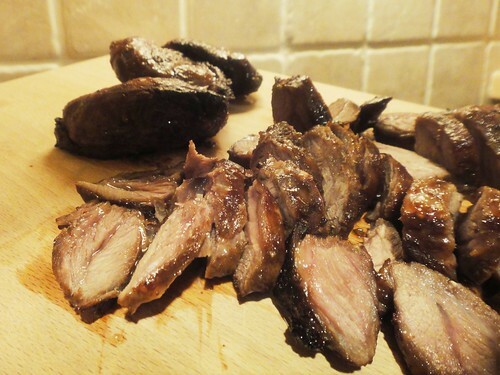 Place one steak in the oil gently and, turning a couple of times, fry until it goes golden brown - this should take about 6 minutes. 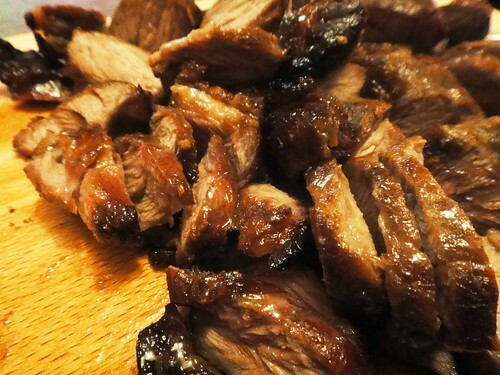 Drain on a wire rack or paper towels while you cook the other. Then serve the tonkatsu immediately with the shredded cabbage, pickles, mustard, tonkatsu sauce for drizzling and rice sprinkled with sesame and salt (gomashio). A tonkatsu sandwich (or sando) is a thing of beauty. 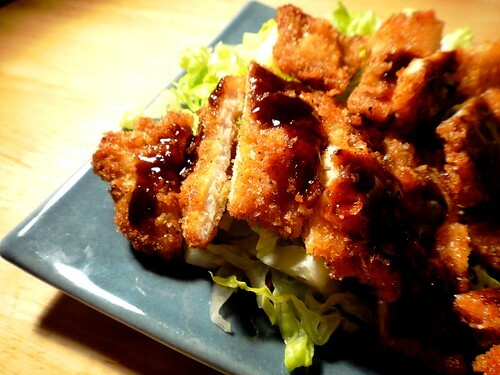 Simply place the fried tonkatsu in between two thick slices of buttered white bread with the shredded cabbage, plenty of tonkatsu sauce, a squeeze of mustard and a squirt of Kewpie mayonnaise. 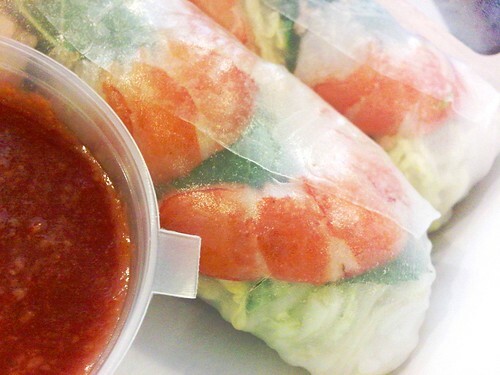 Or go get one from Tsuru Sushi. Spread the crumbs across a baking tray and bake at 150 C till dry but not brown - then leave to cool. Use for tonkatsu or store in a sealed sandwich bag - will keep a few weeks. 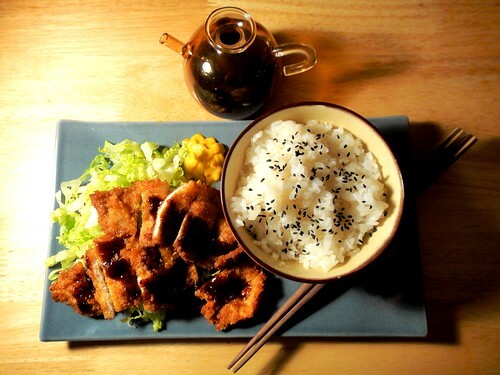 Tonkatsu sauce is a fruity brown sauce similar to barbecue sauce which adds an essential tangy dimension to the dish. The brand that everyone uses is Bulldog and you can get this from the Japan Centre and certain other Asian stores, but here's my recipe for home-made tonkatsu sauce. Mix all the ingredients and dilute with enough cold water to get a consistency like thin maple syrup. 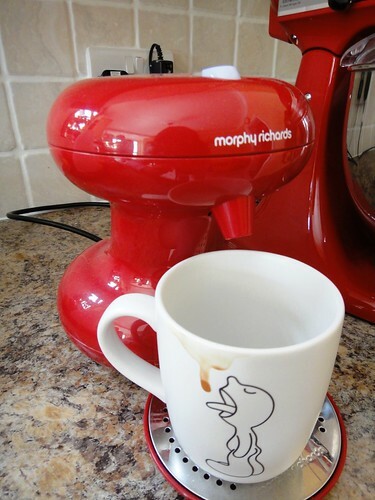 So you may remember that Morphy Richards asked me to be one of their Home of the Houseproud reviewers. The way it works is they ask me if I'm interested in the gadget of the month and I say yea or nay depending on caprice. Most recently, they offered to send me the One Cup. Now, I have the brain of a guttersnipe and clearly spend too much time on the internet, so of course I accepted this offer with glee. In fact, I was this close to getting my sister-in-law to pose with me and the machine, purely so I could post a photo with an appropriate caption, but then I thought that might be going too far for a family-friendly site. If you have no idea what I'm talking about, that's a good thing. 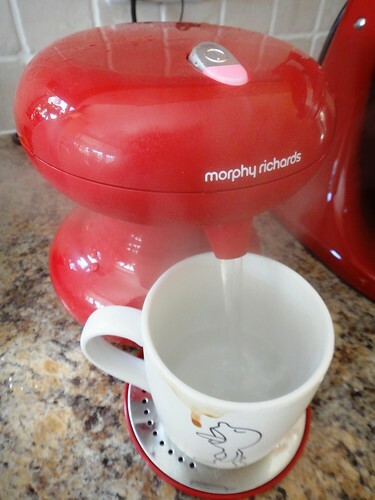 In direct contrast to the beast they sent me last time, the Morphy Richards One Cup is relatively petite and rather curvaceous. 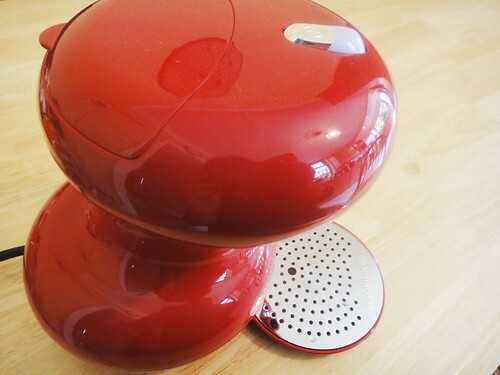 Its concept is simple - it heats and dispenses one cup of water for you in about 30 seconds - so a bit like the long-lost Tefal Quick Cup which I nearly bought before I saw the decidedly mixed reviews. From the colourful Accents range, the One Cup comes in two parts - the machine proper, and a drip tray which for some unearthly reason doesn't actually slot into the main part. This bugs me. So you get your mug of water (I don't have a cup), and you chuck it into the reservoir at the top. If you're cack-handed like me, you chuck half the water over the machine and then freak out about short-circuits. 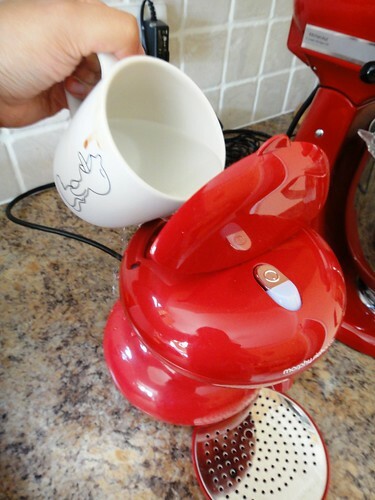 Then you put your teabag etc in the same mug, place it on the stupid drip tray and you press the button. 30 seconds later, after a noise like the one they used to make in the Brook Bond Red Mountain ads, a steaming jet of water fills your mug and your hot beverage is ready. And that's it. Because otherwise a kettle is better. A KETTLE IS BETTER. Sorry Morphy Richards, but it's true. 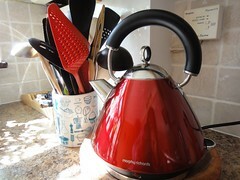 Talking of kettles, since then I’ve been sent a gorgeous red toaster and and kettle, also from their Accents range. I have little to say about them except just staring at them makes me happy - oh and they work exactly as they should, so I recommend them both completely in terms of both form and function. The Accents Pyramid Kettle and Accents 4 Slice Toaster are currently on special offer on Amazon for £39.99 each, and also come in other desirable hues. Anyway, here's a competition of sorts - my One Cup obviously isn't new any more, and it's too heavy for me to post, so if you know me in real life and would like the One Cup, leave a comment telling me why you want it and the best answer by this Friday 11 November will get it delivered to them in person. Oh yes. Or the One Cup is £34.99 if you don't know me and want one for yourself (you can get it in black for the arbitrary price of £29.74). THIS GIVEAWAY IS NOW CLOSED - THE WINNER IS FATFRAN - Thanks! It's Ross Kemp! With hair! I've just been in Japan for a fortnight and I really didn't want to leave. 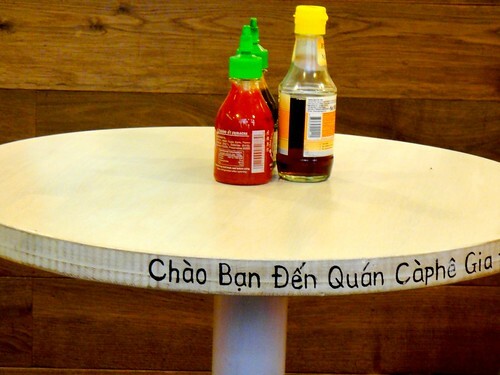 But when I was on the plane back to Blighty, I decided to count my blessings, one of which is a little Vietnamese cafe near my office called City Caphe. 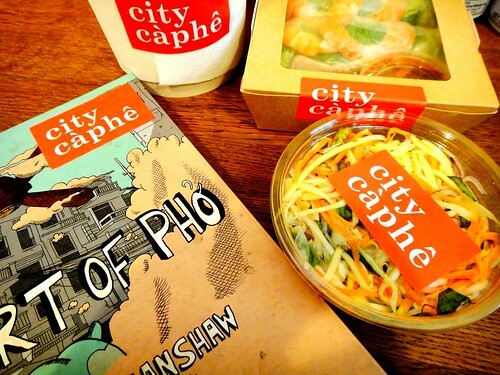 Open only at lunchtimes, I've got through many a long morning at my desk by day-dreaming about City Caphe's food. The day-dreaming continues as I wait in their queue which stretches out the door - it's a dratted constant, but it's worth standing there, even in the rain. Sometimes I press my nose against the window, Charlie Bucket-like, to stare at the gorgeous steaming dishes that others are already enjoying. The queue continues to wind inside, but rather charmingly, they have a selection of books for the hungry punters to pass the time. 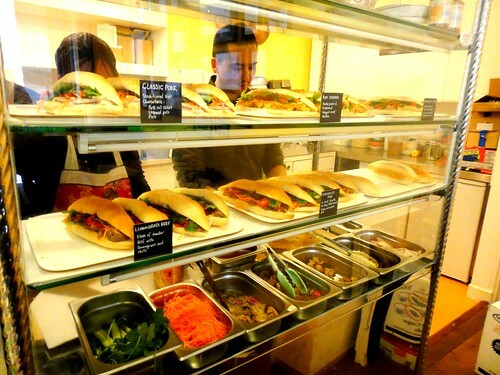 I'm not a bread person, but even I adore City Caphe's banh mi, and their summer rolls are the best I've had (apart from my own) - packed with prawns and herbs, though there's a tofu version for the vegetarians. They have tubs of fabulously zingy papaya and mango salad which cost about £3 - I always pick one up from the shelves as I wait to be served. 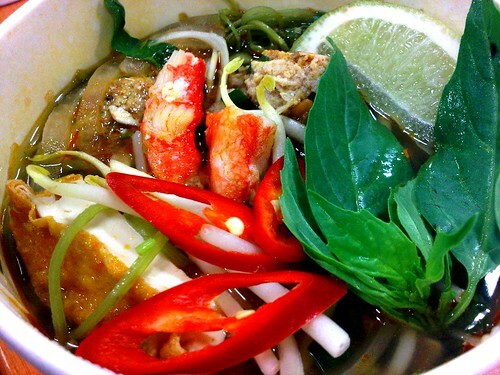 Their pho is wonderful too - delicious broth which is somehow delicate yet punchy at the same time. My only quibble is I want more greenery, more bumf to scatter on top - you get a little plastic bag containing a lime wedge, some chilli rings and a a few choice leaves, but this isn't enough to satisfy my lust for foliage. 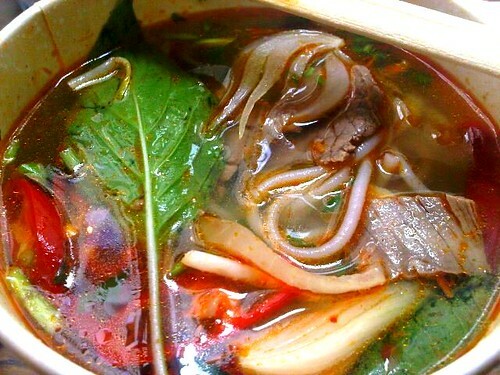 By far my favourite dish is their bun bo hue - a vibrant, spicy, meaty beef and pork lemongrass broth with fat, round rice noodles. 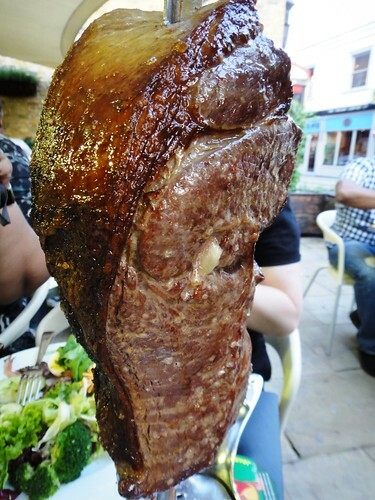 I invariably order this, with extra napkins as I almost always manage to splatter myself. However, it was City Caphe's first birthday recently, and they celebrated by having a week of specials - one of which comfortably toppled bun bo hue as my beloved. Pleasingly, it was a dish which I asked them to make as I'd never had it before (the lovely lady in charge is Julie Vu and she's on twitter as @CityCaphe and asked for suggestions) - bun rieu cua - crab noodle heaven. If I wish very hard, they might make it again, but alas it won't become a regular item on their menu (I am wishing very hard right now). 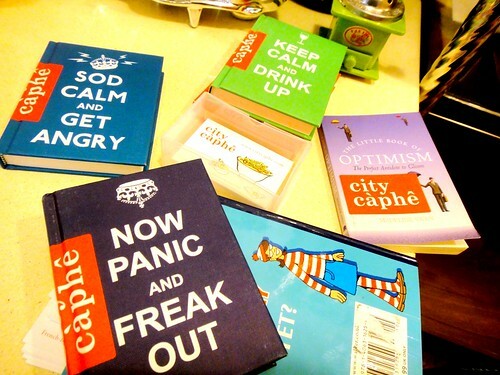 I've been comforted and excited though to find out that City Caphe have decided to do a couple of special one-off nights to show off their repertoire. 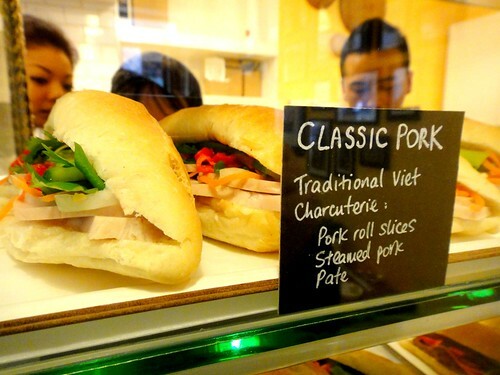 A collaboration with L'Amant Dining, the people behind Banh Mi 11, on Thursday 3rd and Saturday 5th November, they will be feeding some lucky people a frankly fantastic-sounding menu. I've booked to go on the 3rd - hopefully I'll see some of you there.